Oestrogen is one of those controversial hormones. Its controversy mainly lies in the fact that one study may show benefits while another shows risks. It can be complicated and confusing for many of us to understand how oestrogen affects our bodies. One recent study is looking at how we can get the benefits of oestrogen instead of the risks. The researchers began by investigating the role of oestrogen in vascular disease. They found that oestrogen acts through a group of biological mechanisms that can be activated, which then has positive effects on the cardiovascular system. The hope is that if a drug can target a specific set of oestrogen receptors, we might be able to give the cardiovascular benefits of oestrogen. But these benefits could be given without increasing cancer risk, which is associated with oestrogen as well. Basically, oestrogen targets two parts of the body, one that helps maintain vascular health and one that can activate cancer cell growth. What is an Oestrogen Receptor? Oestrogen receptors are inside the nucleus of a cell and to a lesser extent, found outside the nucleus of cells such as endothelial ones that line places such as veins. The receptors act as a ‘dock’ for the oestrogen, similar to a dock for a boat. Researchers found that in tests on mice, the small number of oestrogen receptors that are located outside of the nucleus in these endothelial cells have a unique ability. These receptors can activate the growth of cells as well as their movement. This is important to maintaining blood vessel health and repair and helping to regulate your body’s production of chemicals that protect your vascular system. Other oestrogen-receptors can trigger cancer growth, so we do not want drugs that can stimulate these as well. If we look at current oestrogen-related drugs today, they work by changing how nuclear receptors function, thus stimulating cancer cell growth. A new molecule researchers have identified, however, only acts on the non-nuclear ones that can help the vascular system. 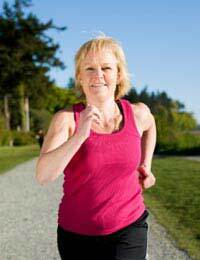 For the typical woman, her risk of heart disease remains quite low until the period of menopause. At this time, her oestrogen levels go down and she loses the protective effect. Taking the hormone oestrogen could help by protecting a woman from a heart attack or stroke because it supports healthy blood vessels. On the flip side, it could similarly trigger tumour growth. It’s a challenging problem to solve. This newer molecule to replace traditional, synthetic oestrogen shows promise because it has a dual action in the sense that it only activates the ‘good’ oestrogen receptors while leaving the ones that can fuel cancer growth unchanged. This differs from hormone replacement therapy (HRT), which affects both. Researchers are hopeful we can eventually help to enhance a woman’s vascular health without the increased cancer risk. But since the experiment involved mice, we have to still replicate it in humans to ensure it is effective. Hopefully, we can soon offer a way to help menopausal women without the potential for cancer growth.